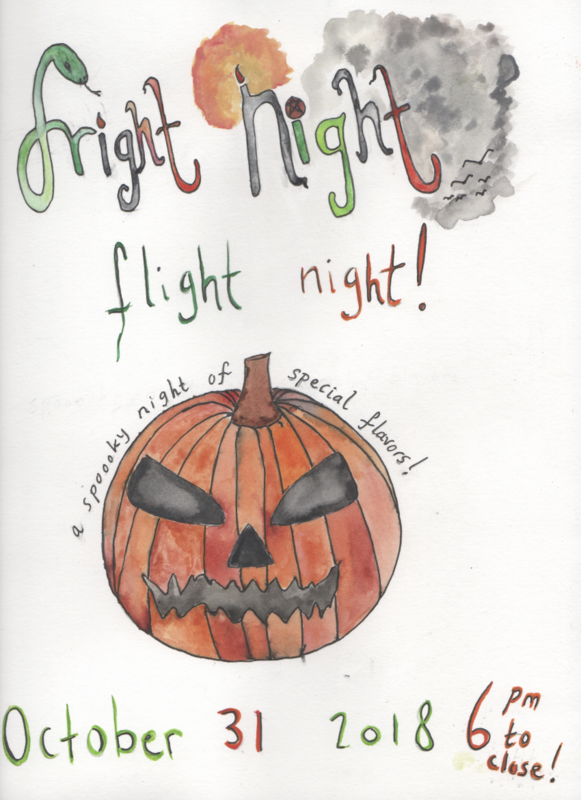 Join us for a Halloween-themed flight night! From 6:00pm until closing, we’ll be serving up a flight of 5 special flavors not on the regular menu. Flights are $10 and come with a special bonus Halloween treat! No tickets are necessary for this event. Just come down anytime after 6.